Any component. Any power option. And a massive list of field-proven housing options to choose from. The Customize section in our part number layout allows customers to specify additional needs including printing your own company logos, special text, cable lengths, and hole cut-outs. We can print whatever you'd like on the face of your GracePort! Components: Countless varieties of components are available and can also be paired together in your fully customizable GracePort for any application. Whether you need something as common as an RJ45 connector or as unique as a DVI female-to-female feed-thru bulkhead, we can design and create a GracePort that fits your precise needs. Power Options: In over 20 years of production, we've created thousands of unique variants of the GracePort with each week presenting a new opportunity and a new GracePort configuration. 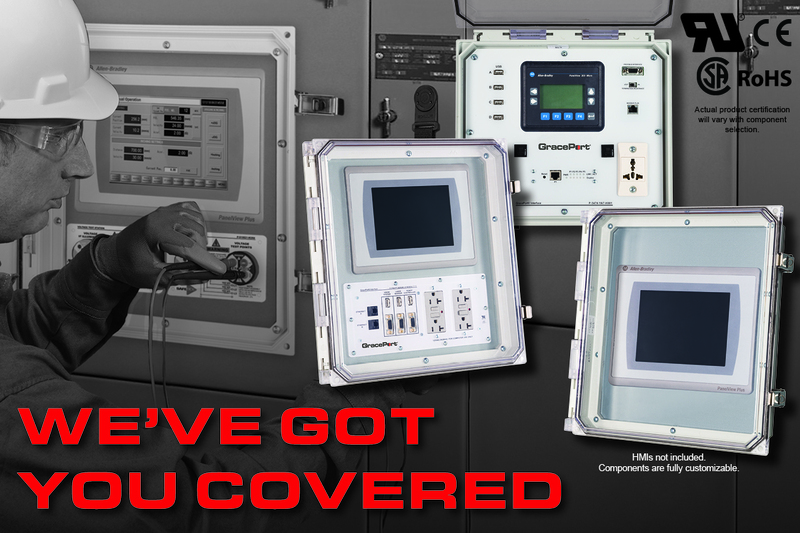 Thanks to our international power options, we've shipped GracePorts all around the world. Housings: Several housing types are available and the size of your housing depends on several variables including the kinds of components you choose, the power option you want and, in some cases, the UL rating you need. Housings options include UL Type 1, 3R, 4, 4X, 12, stainless steel options, large housings and hazardous location housings. GracePort+ (Plus): Going beyond our standard housing units, we also offer an enlarged version called the GracePort+. 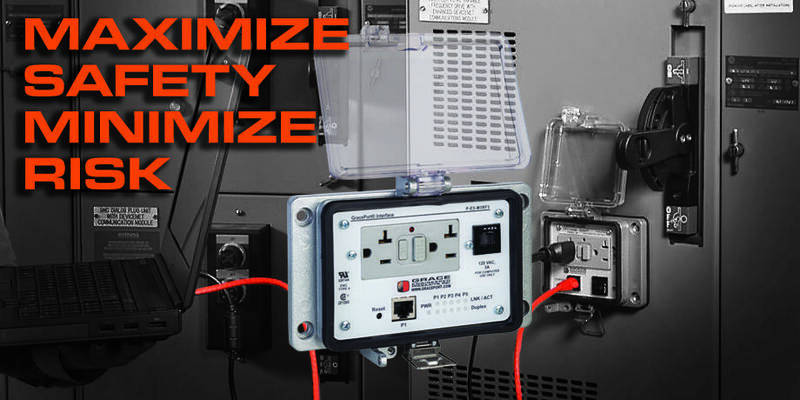 This enlarged panel interface connector comes in a UL Recognized large housing that can protect Human Machine Interfaces (HMIs) and other valuable electrical components with the added benefit of including GracePESDs that include voltage indicators, portals, and more. 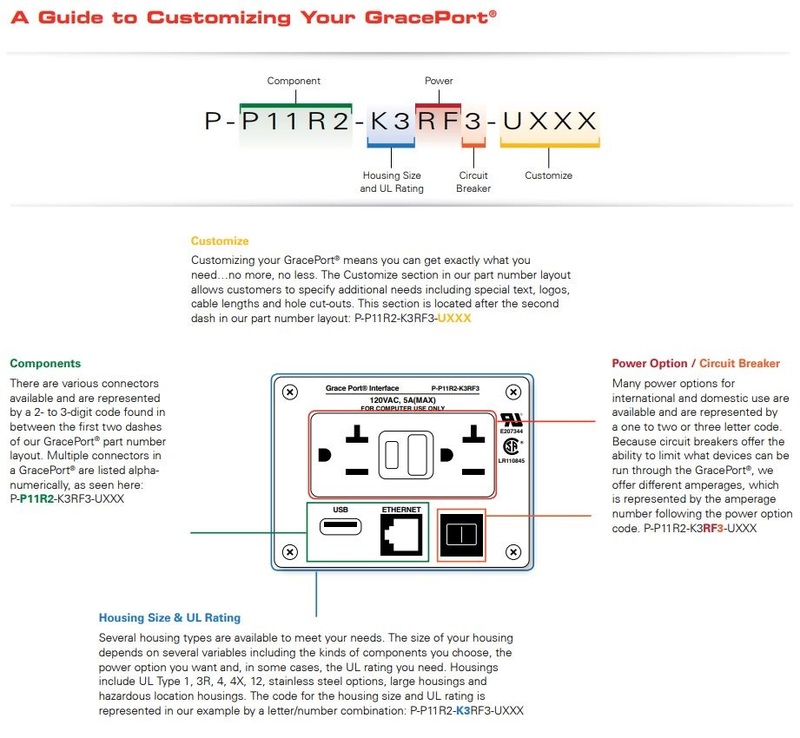 Checkout the GracePort Breakdown page to see how your custom GracePort part numbers are configured to match your specific needs.